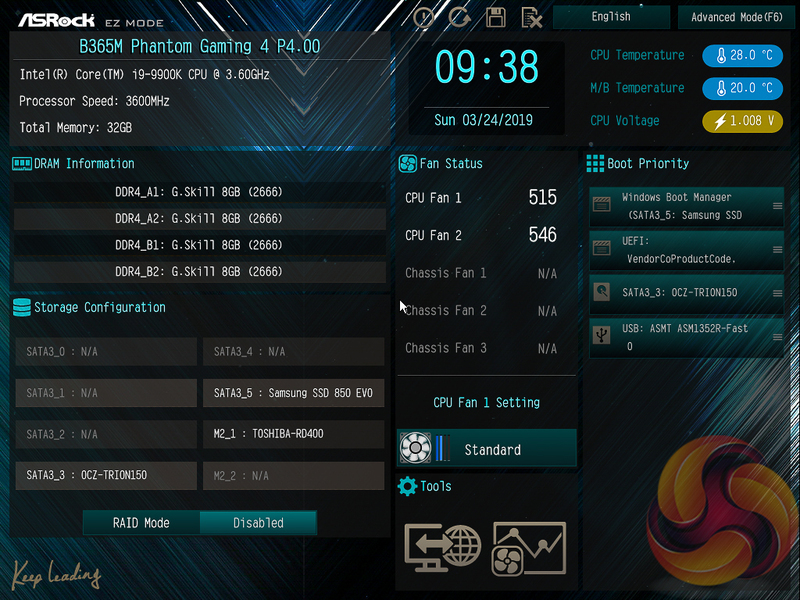 Like all motherboard vendors the ASRock UEFI offers an “EZ MODE” option intended to provide a quick summary of commonly accessed UEFI options like the boot order and fan speeds as well as system monitoring information. 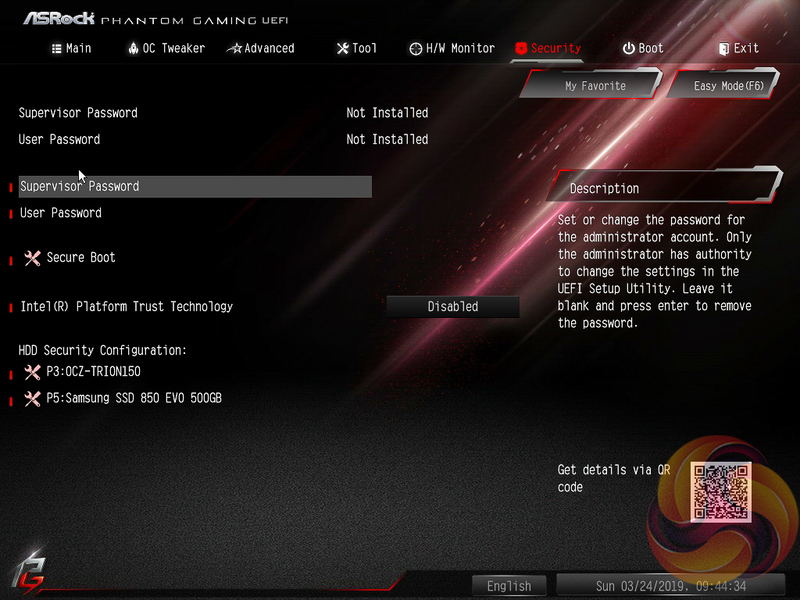 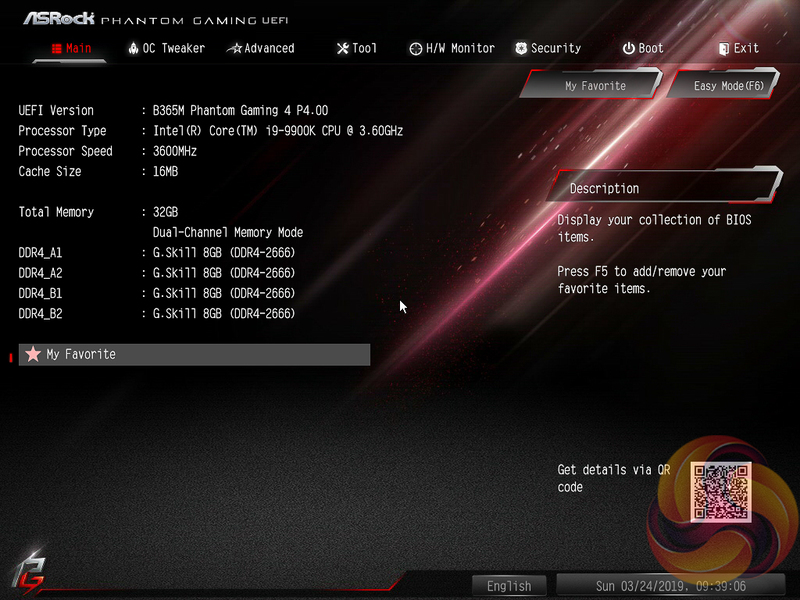 This splash screen, for some reason, is not Phantom Gaming branded like the rest of the UEFI environment. 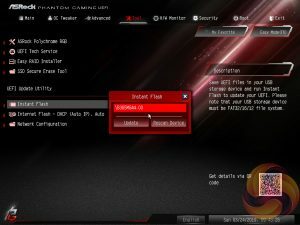 Pressing F6 takes you into the Advanced mode which starts with the Main page that overviews the UEFI version, installed processor and DRAM information. 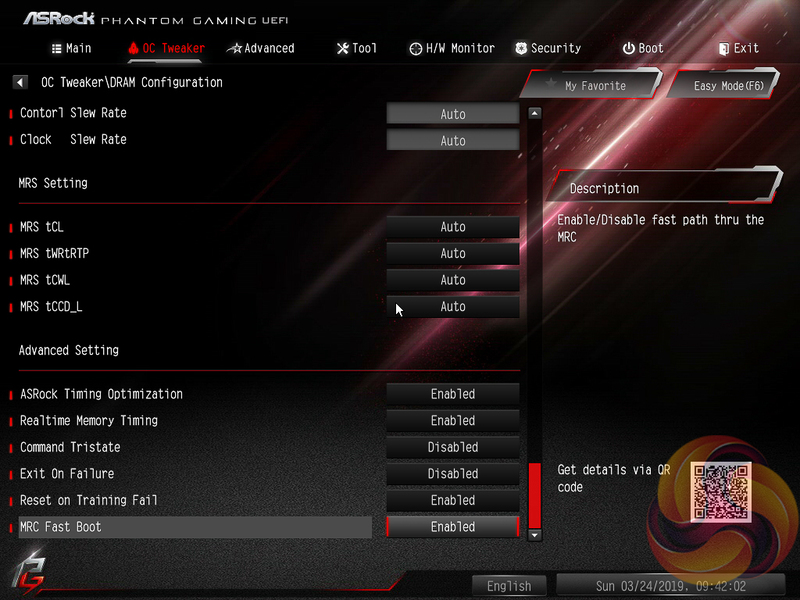 The My Favorite tab contains all recently accessed UEFI settings. 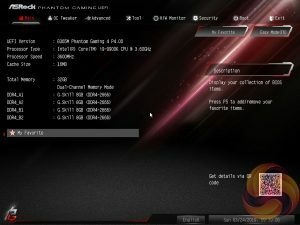 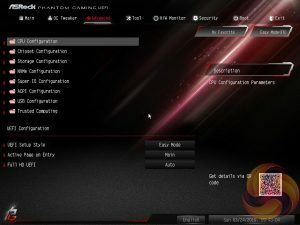 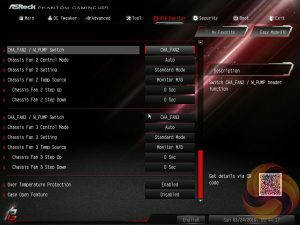 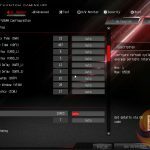 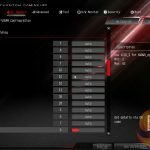 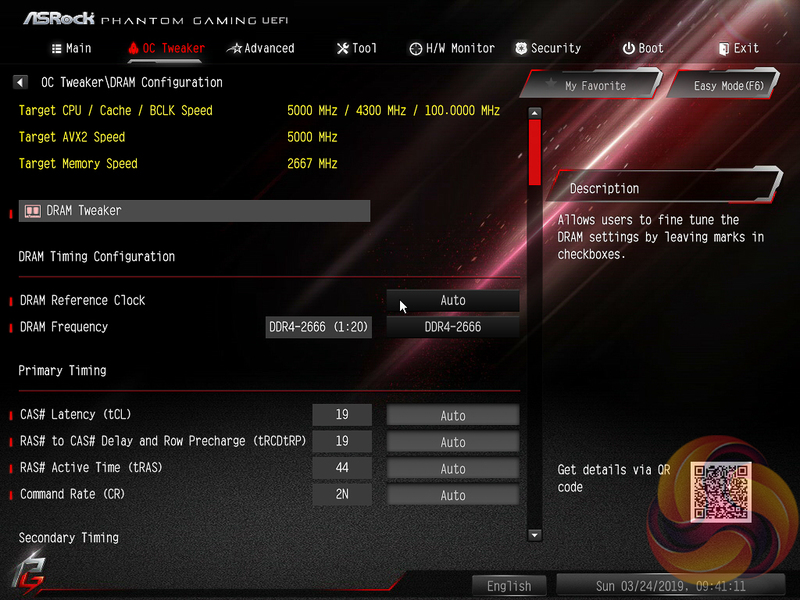 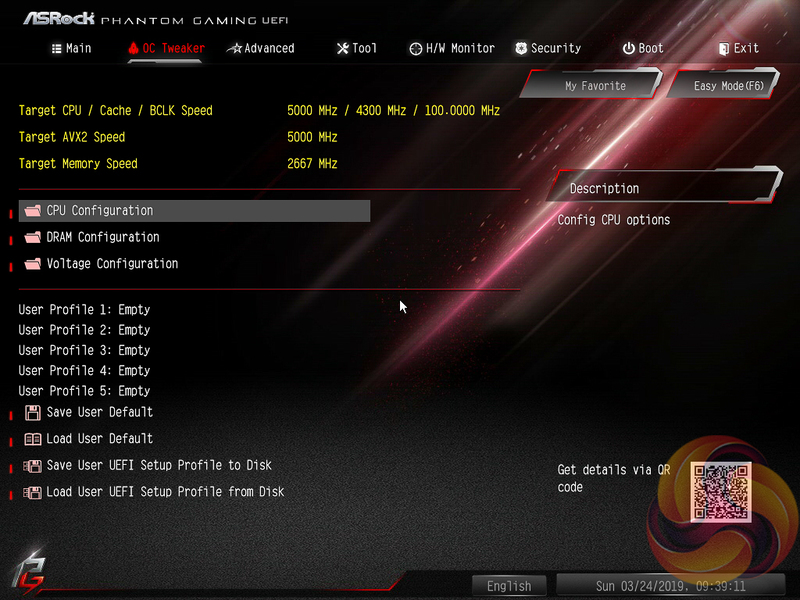 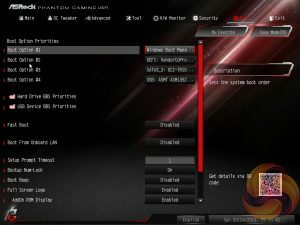 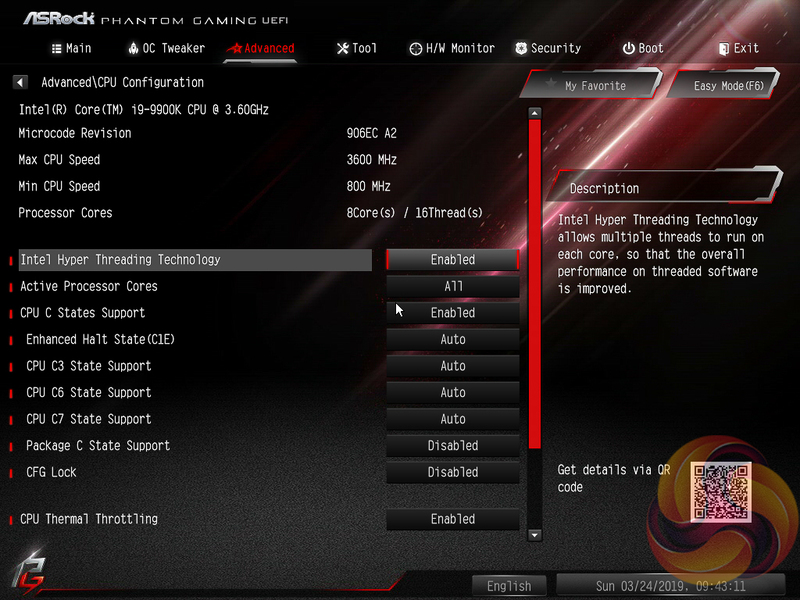 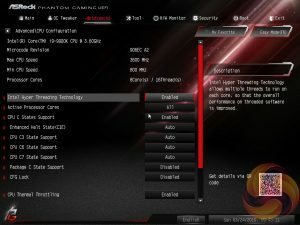 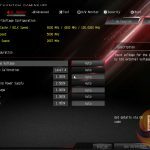 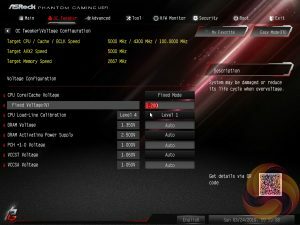 OC Tweaker is the primary section of the UEFI environment for altering settings relating to the CPU, DRAM and Voltage. 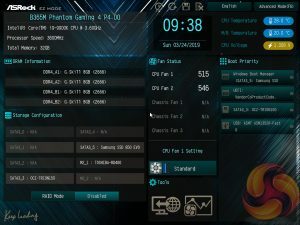 While there is no overclocking, technically it is possible to manipulate the CPU Turbo behaviour to almost get overclocking-like performance. 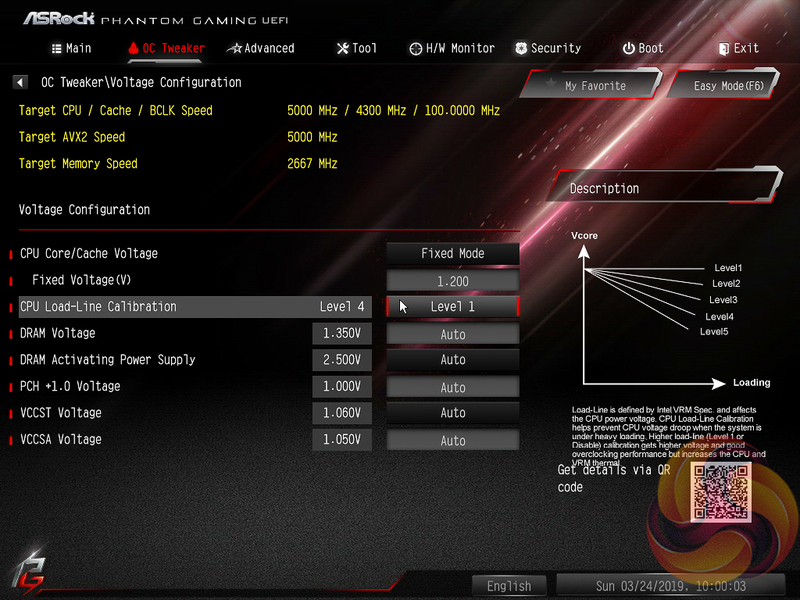 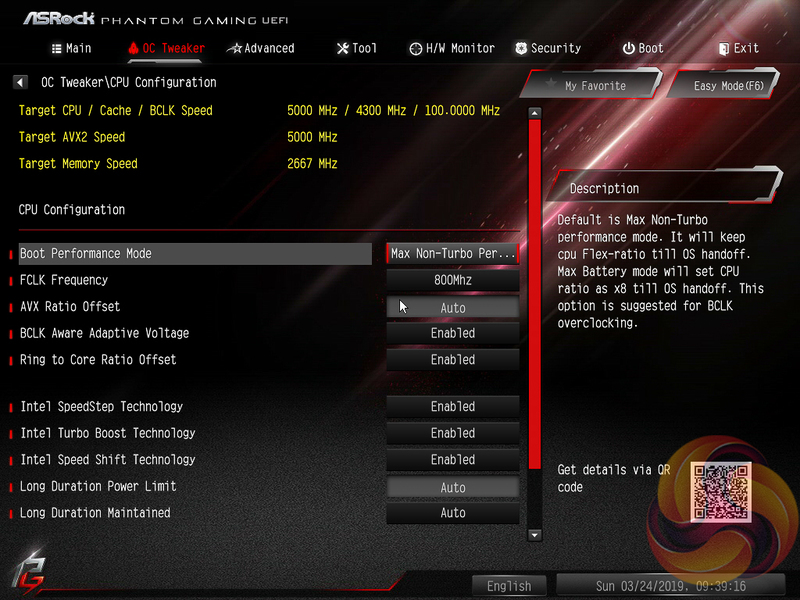 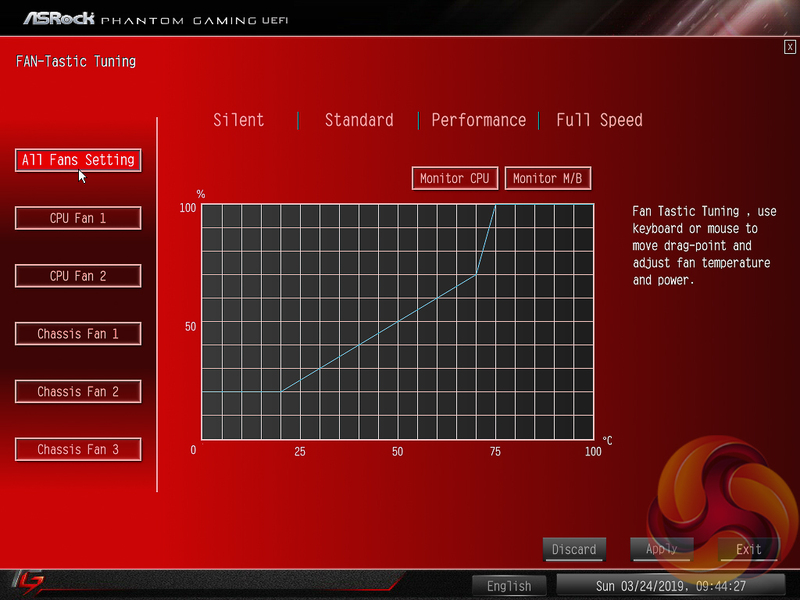 The user can set the power limit absurdly high, to 4095W, and the CPU will never throttle down. 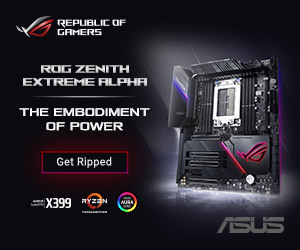 As a result the system delivers consistent Turbo performance in the realm of 4.6~4.7GHz without ever settling down to Intel’s default long-term Turbo which is 95-watts and around 4.1GHz all-core Turbo. 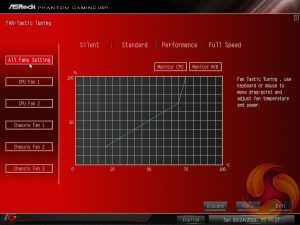 Further still it is possible to manipulate voltages. 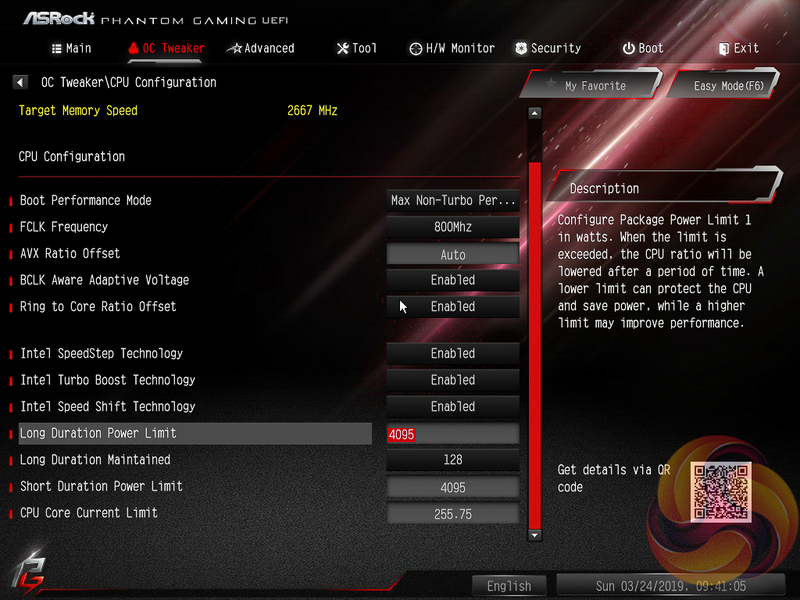 In the above a fixed voltage of 1.2v, combined with the unlocked power limit, gives an i9 9900K that will run at its full turbo speed all of the time and with respectable temperatures because of the assigned voltage. 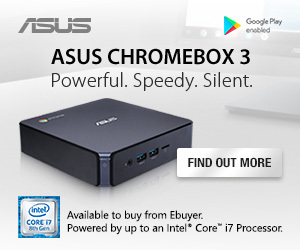 We’ll cover this more later on in the review. 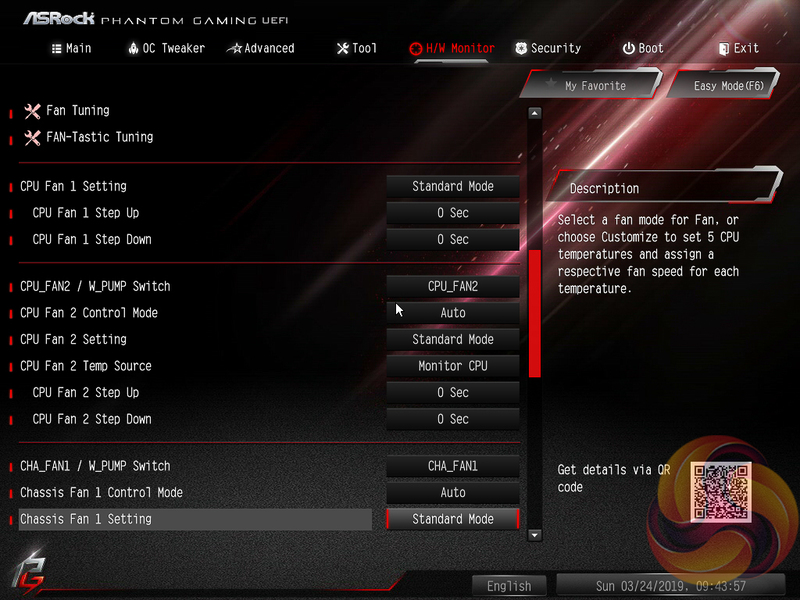 The remit of the advanced section is to give users the “everything else” of compatibility and functional UEFI options for on-board hardware that aren’t found in OC Tweaker. An inclusion at the bottom of the Advanced section is the ability to toggle the UEFI into a full HD mode which is disabled by default, at least it was on our test system monitor. 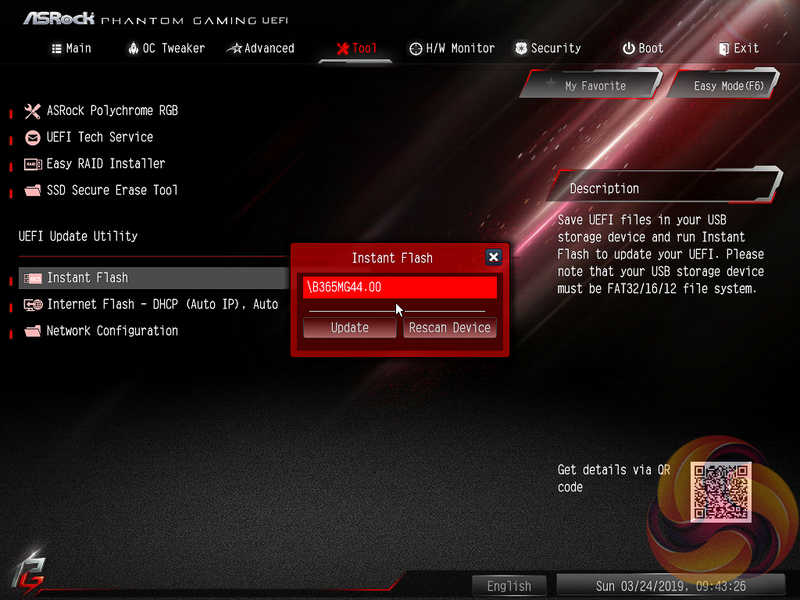 The Tool tab holds the Instant Flash utility which is beautifully simple; attach a USB device, pick the update file and update, or update automatically from the internet. ASRock has provided its Polychrome RGB tool within the UEFI environment on this model and it works roughly the same as the software does. Firstly, pick the lighting region. 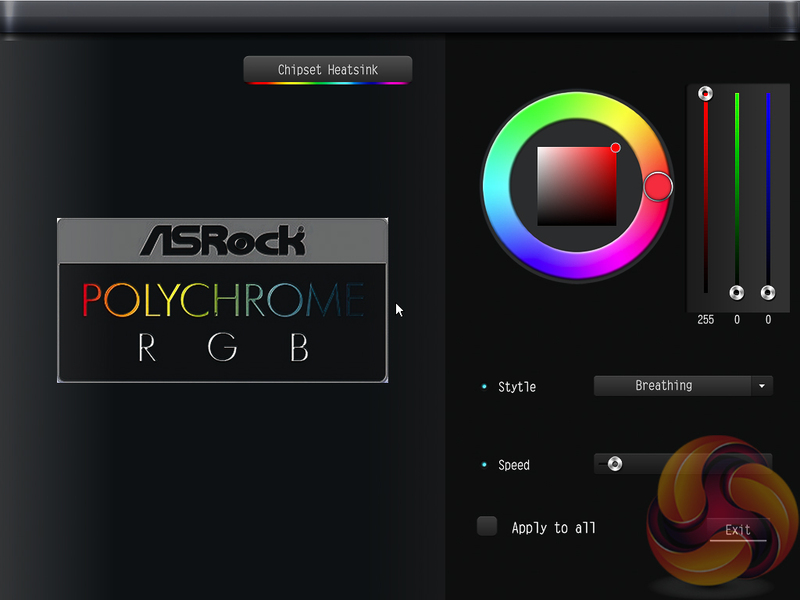 Secondly, change the colour using the ring, square or RGB sliders. 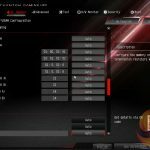 Thirdly, select the style and speed from the lower right list and then choose to apply only to that lighting region (by doing nothing) or tick all to apply to all. 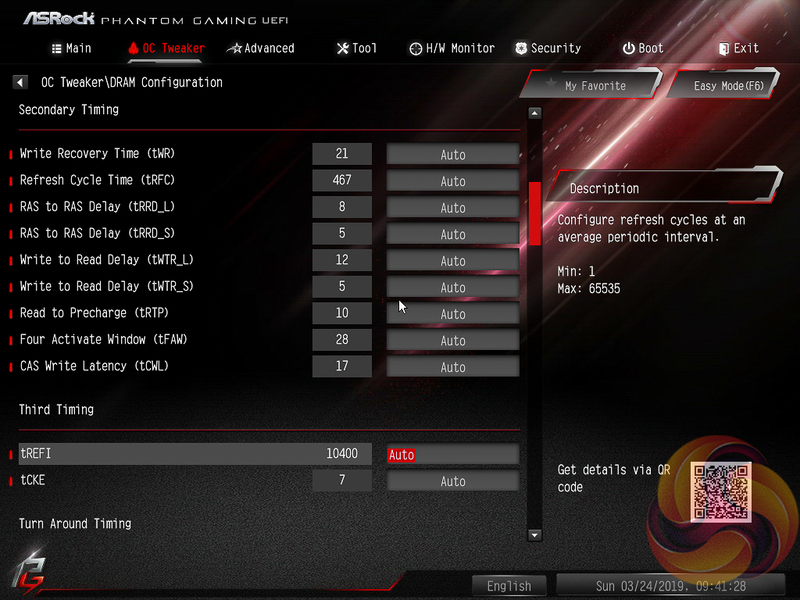 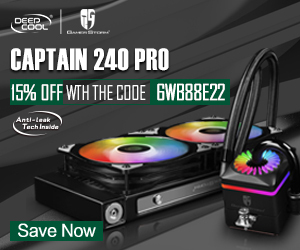 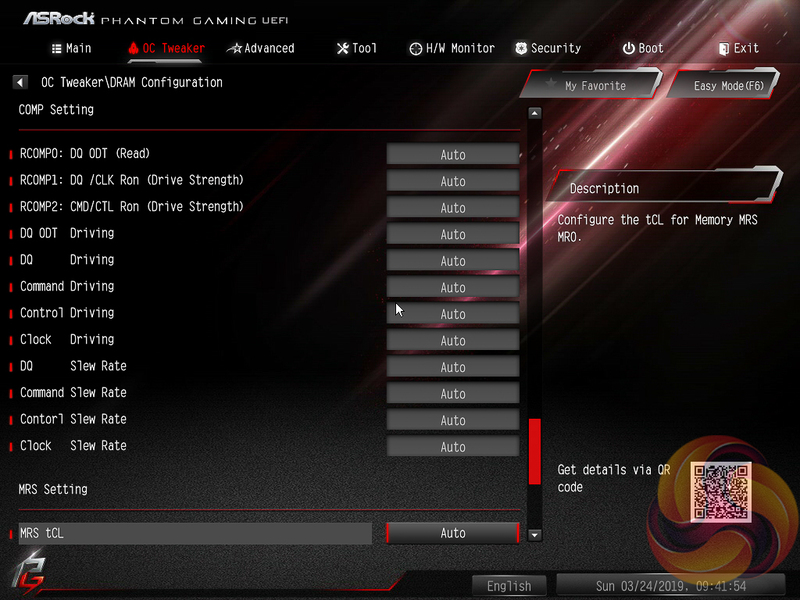 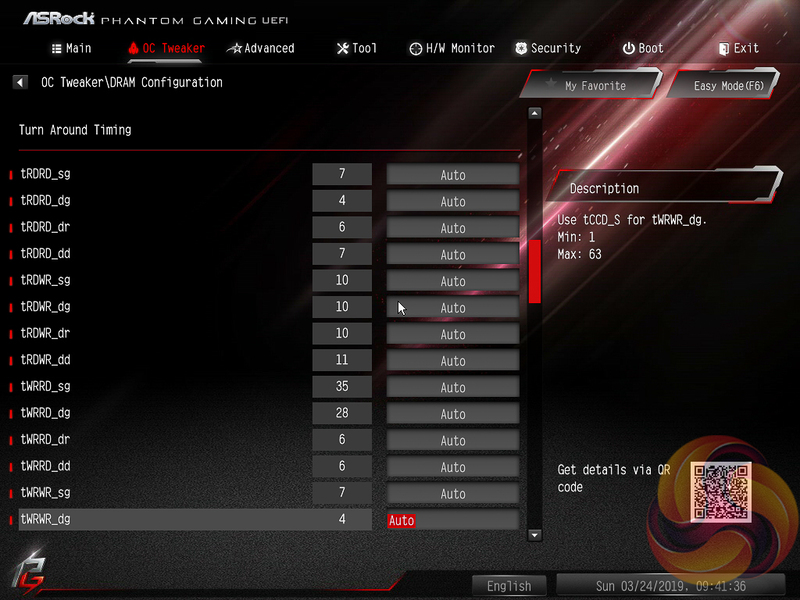 ASRock is, to our knowledge, the only motherboard vendor that puts RGB LED controls in the UEFI environment. 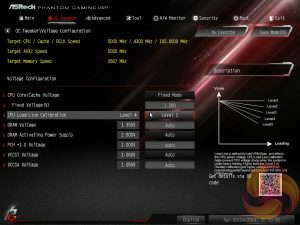 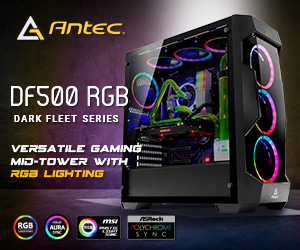 It’s a unique approach and it’s pleasing to say the UEFI version of ASRock’s RGB LED doesn’t lose any features compared the Windows version. 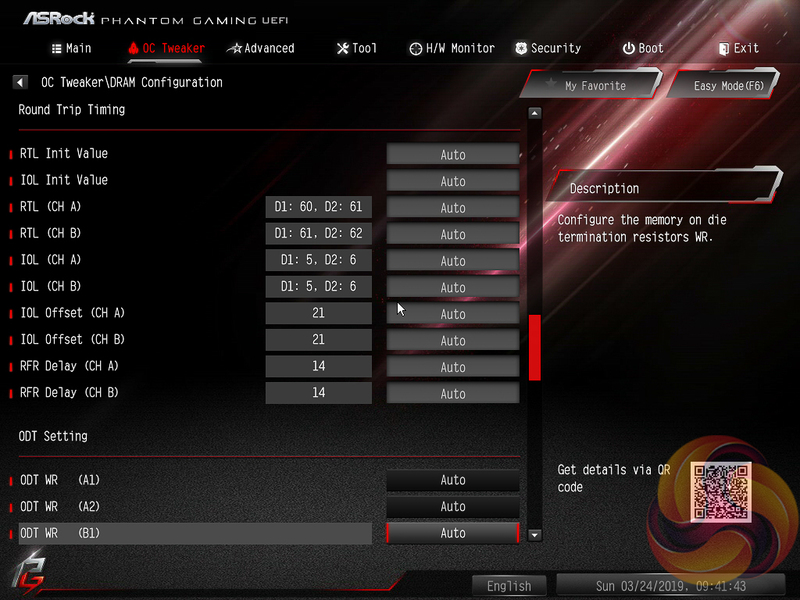 The only downside is that once the profile is set within the UEFI the user has to re-enter the UEFI to make any further changes. The upside is, of course, less software clutter within Windows for those who have an aversion to motherboard software. The Monitor section includes a number of voltage, temperature and fan speed read-outs as well as all the CPU and System fan controls. 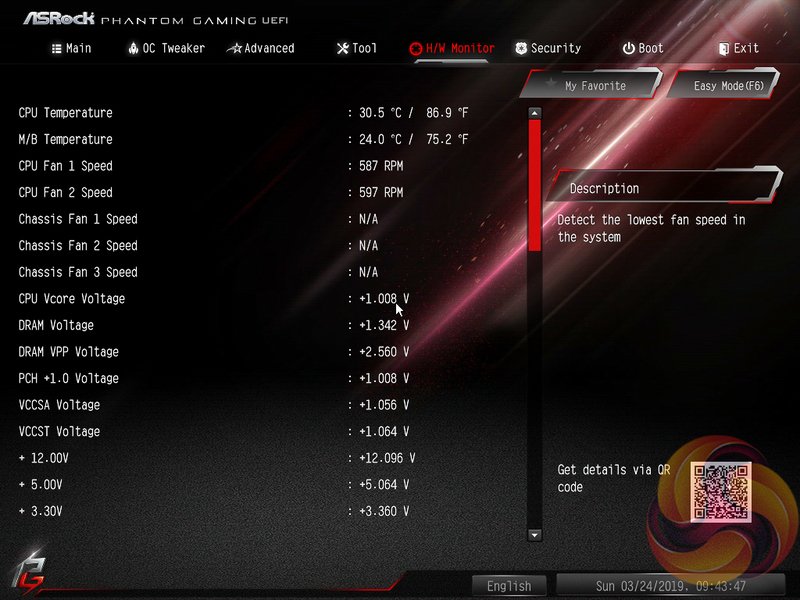 Further fan tuning can be done by first running the “Fan Tuning” wizard to calculate the full fan speed range of each attached fan (minimum and maximum speeds in RPM). 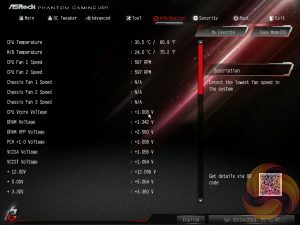 Then from within the FAN-Tastic tuning window, customised profiles can be set using the fan speed graph and the mouse to drag-and-drop the curve/line. Security, Boot and Exit tabs round off the rest of the ASRock UEFI environment. Note that no summary of changes is presented to the user upon exiting the UEFI environment.